Created to survive the challenges and difficulties of daily life, resistant inside and out but without compromising the beautiful and modern product design. 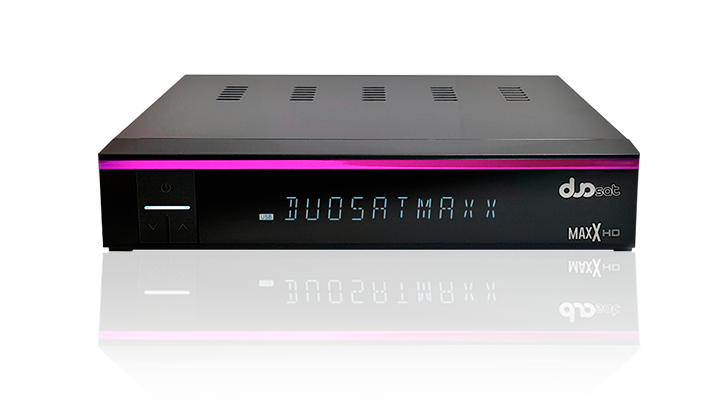 The MaxX, besides being resistant, was created to satisfy the most demanding people at an affordable price, with an excellent image quality so that you can have a unique entertainment experience, and if that was not enough, it comes with the new technology in tuners called BLAST with which you can have more channels and more satellites than the other conventional receivers! No need to go to the movies! Because what is good in 2D, it is much better in 3D. The combination of images with better quality and optimal performance elevates 3D entertainment to the top. Thanks to the integrated Wi-Fi, the Duosat MaxX offers superior comfort, free mobility without you having to trip over everything and is easy to use! That means, zero cables, zero problems, zero stress! Size: 180mm x 38mm x 140mm (W x H x D) Weight: Approx. 450 g.